St Kilda may not be classically viewed as a destination in which to get amongst nature and get a glimpse of Australian wildlife, especially with the plethora of restaurants, bars and cafes that line the busy metropolitan streets. But in between the city lights and the hustle and bustle of Fitzroy Street, peace and quiet can indeed be found. 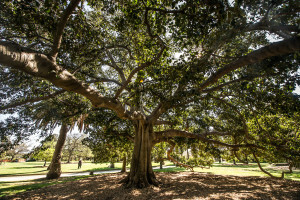 Breathe in the fresh air and get away from it all if only for just a moment in St Kilda’s parks and outdoor spaces – some of the area’s best kept secrets. When searching for some wide open space in St Kilda, the Botanical Gardens should be your first stop. With history stretching all the way back to the 1800s, the site has now grown to include an impressive 810 tree specimens. An afternoon stroll through these lush gardens will bring you within view of stunning garden beds, sprawling trees and a serene lake. Keep an eye out for a number of native critters who call the gardens home, including the Tawny Frogmouth, the Brushtail Possum and the ever-vibrant Rainbow Lorikeet. Stay a little longer and squeeze in a game of giant chess on the grounds before the day is out. 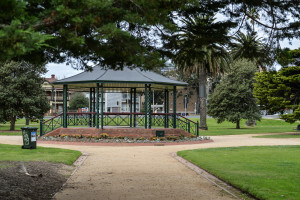 For more information on the St Kilda Botanical Gardens, click [here] (http://www.portphillip.vic.gov.au/st_kilda_botanic.htm). For another dose of lush greenery, head to where the city meets the bay. On the edge of the famous foreshore sits Catani Gardens, bordered by the definitive St Kilda palm trees. The park is perfect for a family picnic, with plenty of shade and barbecue facilities, plus a fantastic playground to keep the kids busy. Best of all, Catani Gardens is just a stone’s throw away from all the action of Fitzroy and Acland Streets. For more information on the Catani Gardens, click here. We just can’t talk enough about what is arguably St Kilda’s main attraction, St Kilda Beach. The sand, the waves and the superb sunset truly makes this suburb one of the most unique in Melbourne. However, while basking in the sun is without a doubt a favourite Australian pastime, there is so much more to be done on the shore. Why not join a friendly game of volleyball after work with Republica ? Or, if you’re more inclined to some adventure, take a kitesurfing or stand-up paddleboarding lesson. Locals and visitors to St Kilda alike will be all too familiar with this local landmark. Built in the 1850s, it has become a meeting place of sorts for those spending a day by the sea. However, it may not be widely known that the iconic pier is home to another little attraction. Did you know the breakwater at the pier is home to around 100 Little Penguins? Each night between October and April, visitors are able to view these cute little residents as they waddle their way home. The hardworking volunteers at Earthcare St Kilda do a fantastic job caring for the penguins and sharing their knowledge with visitors. For more information and for visiting times, click here . There’s plenty to do in the great outdoors of St Kilda. 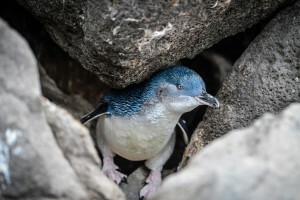 From a morning game of chess in the Botanical Gardens to watching the Little Penguins make their way home at sunset, why not make a day of it?